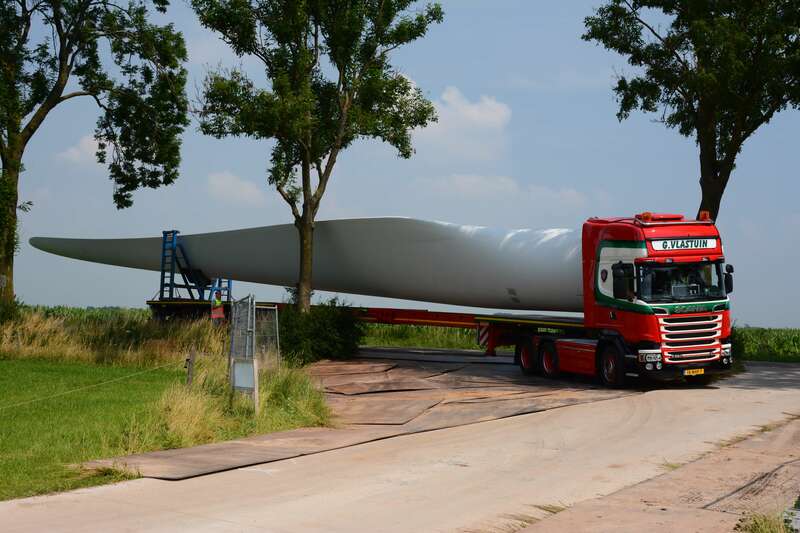 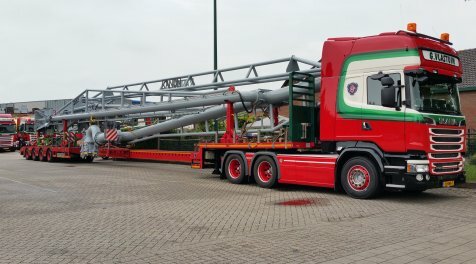 Pipes, silos, concrete elements, marine loading arms, wind turbine parts… If you are dealing with goods of extraordinary length, rest assured; you can depend on G. Vlastuin transport for transporting them. 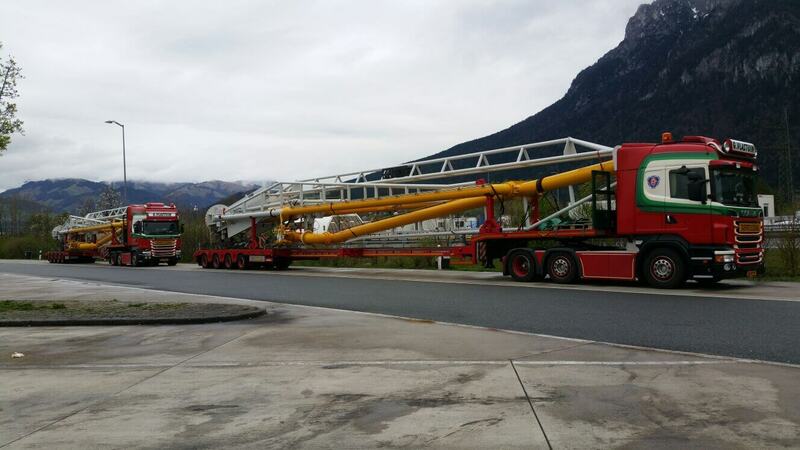 We have the proper equipment and specialize in this type of transport. 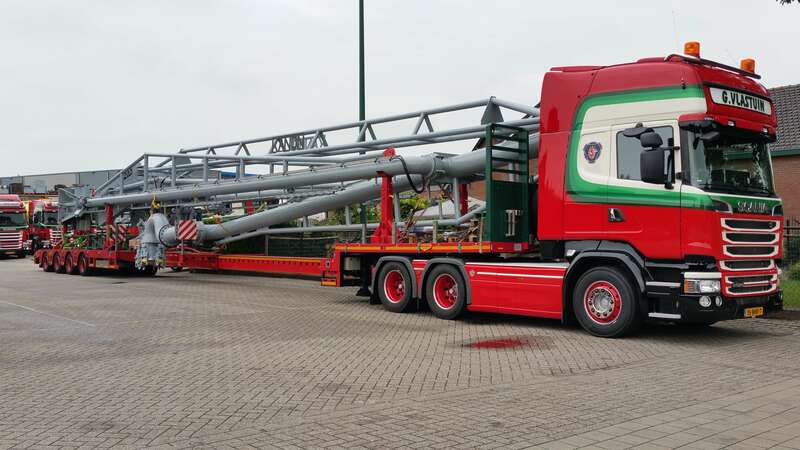 Thanks to our various single, double, and triple extendable semi-trailers, we are sure to have a solution that matches your needs. 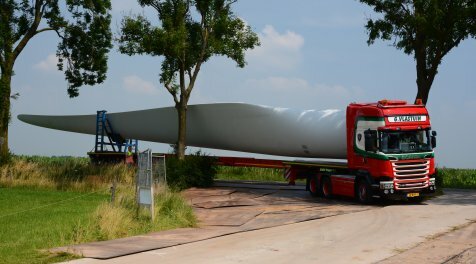 Contact us right away to find a suitable solution for your lengthy transport needs, by calling (0318) 57 18 27 or sending an email to info@vlastuin.eu.